Cut the Snake Gourd (lengthy one is preferred) into small pieces. 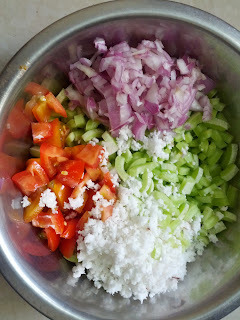 Add finely chopped Tomato and Onion along with the cut vegetable and mix thoroughly and eat. 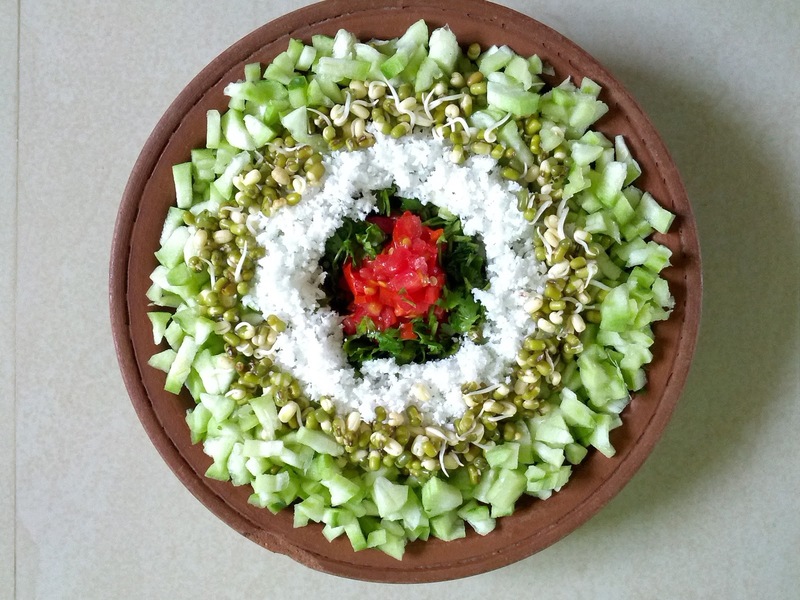 In the same way you may also make Ridge Gourd salad. Add Curry leaves + grated Coconut in this salad.